Effective and ethical SEO practices help improve your search rankings, attract qualified visitors, and enhance conversions and ROI on advertising spend. We are the experts and we are ready to help. We are rather good at Chinese SEO (Chinese Search Engine Optimization) service because we speak Chinese too :). Joking aside, let's tell you a bit about our Chinese SEO services. Natural search engine optimization services allow your online content to be spidered, indexed, and ranked on the leading search engines' non-sponsored search results. Yo-So provides strategic recommendations, traffic analysis, best coding practices for better indexing so that search engine spiders find and read your content for maximum search visibility. By knowledge sharing, analyzing, and reporting on performance and providing ongoing recommendations, Yo-So enhances the quality and quantity of your online traffic. 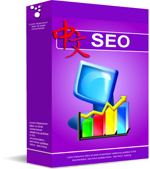 The Yo-So Chinese seo consulting team brings over 10 years of internet experience to your business. We help you understand how search engines index websites and rank results, how to research effective keywords and optimize page content and site navigation, and how to improve your search engine ratings. We help report your rankings of selected keywords on different search engines and how your competitors rank comparatively. We share with you the strength and weakness of your existing SEO status, and we deliver a complete list of approaches and easy to follow steps you can take to excel on rankings. We would also love to help you execute the steps if you so desire.